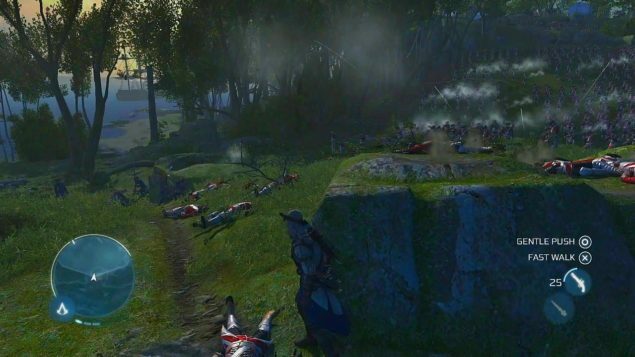 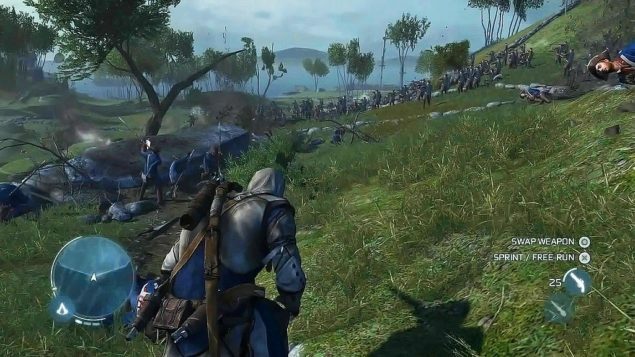 Assassins Creed 3 Gameplay Images Leaked? 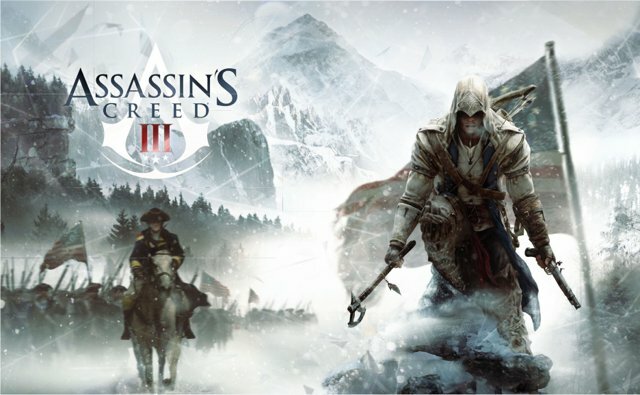 Apparently certain images of Assassins Creed 3’s game play were leaked earlier today on a website and while the circumstances may look suspicious the images are otherwise, while there is no guarantee that the images posted are even genuine or not they certainly do look very convincing, Could this be a very delayed April Fools joke or can this be the real deal? If so I would love to see more screens like this in the future because so far I am liking what I see. 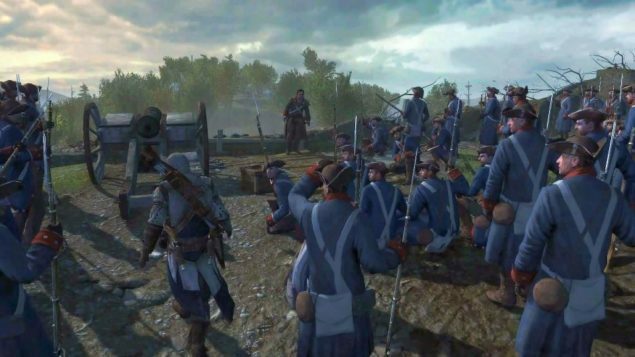 These 4 game play images made their way to All Games Beta, the images look real enough but their authenticity is still a question to be left answered. 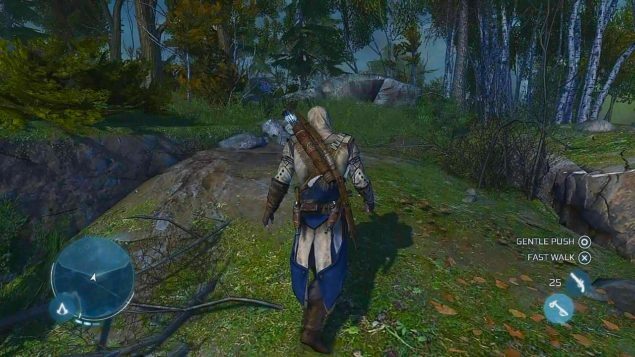 If these screenshots are any indication of the final game I am definitely very excited to see more footage of this game in the future and hopefully more of the game in the form of a video, but with E3 coming closer its only a matter of time before we have a plethora of this games in game footage and screenshots in said event. While pictures are supposed to say a 1000 words only a couple of these images even say anything at all, Currently the game does live up to what Ubisoft has said about the timeline the game will be based in and Connor appears to be fighting for the Americans but that’s about all I can gather from these images, judging by the buttons on the bottom right of the screen it is assumed that this is the PS3 version seeing as how it has is X / O.
I hope that the images are indeed genuine because I am really liking what I am seeing, I am looking forward to a more open world Assassins Creed game rather than just going from one city to the other. UPDATE: It seems that these COULD be images of the game shown at PAX East, Ubisoft did mention that they would show off the game at the event and hopefully these images are the real deal after all.